Many educators are enjoying their winter break. This time is great for connecting with family, enjoying holiday traditions, travel or catching up on much-needed rest. 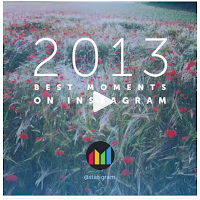 And yet after the big meals, parties and festivities are done, this might also be a perfect time to power up on some new digital learning ideas to jump start 2014. Here are a few things to check out in your down time. As your students explore, learn and grow, it is great to chronicle their journey. Amplify their voices and experiences with social media! Creating a class Twitterhandle or Tumblr account will allow you to share the magic that happens in your classroom with your students' families as well as other educators and experts around the world. Twitter is best for quick, 140-character thoughts collected from your students or asking quick questions. 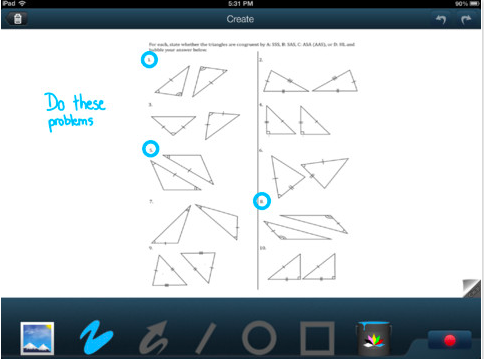 Tumbler is great for sharing photos of learning, student work or field trips. In both cases, be sure to speak with your principal to find out what your district's policy on social media is and also get permission from parents before posting anything of or by their children. Once all of the paperwork is complete, encourage your students to share their thoughts and create a positive digital footprint! Recently a kindergarten teacher colleague tweeted to Mercer Mayer and got him to read one of his Little Critter books to the all of the school's primary students! It's great moments like this that shine a light on how social media can be a true friend to educators. A lot of educators are using PowerPoint to teach lessons and present content to their students. However, the same old stale bullet points and word art can get a bit dull. Lucky for us that the iPad app, Haiku Deck, is now available on web browsers for our desktops! Try jazzing up your lessons with visually stunning slides and simple text. Explore how to leverage this free tool to allow your students to communicate content to one another and world... then tweet it! Beyond slideshow presentations are video lessons. 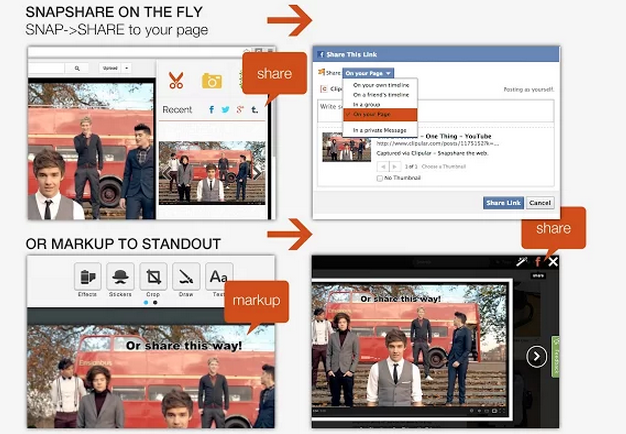 Get started on flipping your classroom or cloning yourself in-class through differentiated video content. To do this, check out Explain Everything - a great app that is available on both iOS and Android devices. Explain Everything will allow you to... well... explain everything. 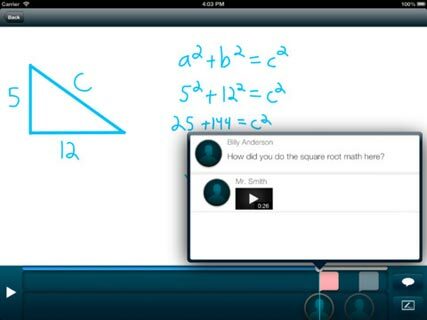 From creating screencast videos showing your students how to multiply to annotating over primary source documents or creating interactive texts for your students to read along during class, this app has a myriad of different possibilities. Maybe you already have a class Twitter handle. Or perhaps 140 characters isn't enough for you to share what you've got cooking in the classroom. 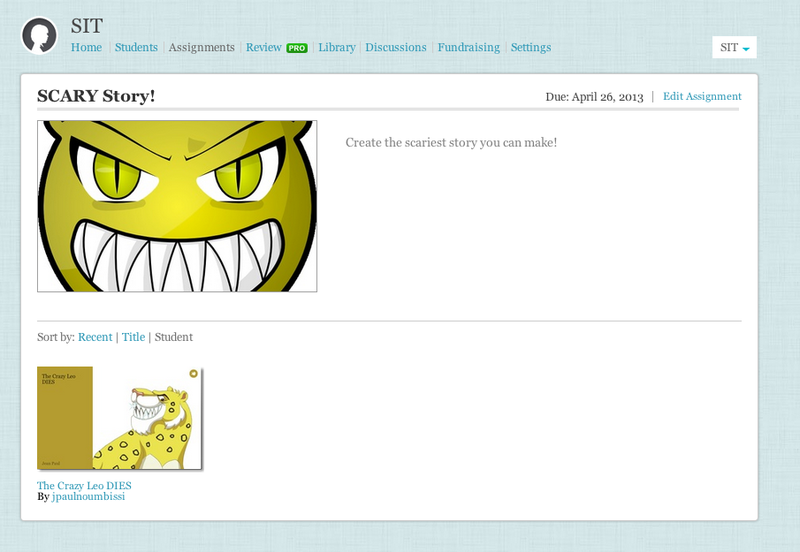 Create a class blog! Try KidBlog for your students or Blogger for yourself. This online-journal will allow you and your students to reflect on your learning and share with the world! It doesn't matter if you feel that you're a content expert or a tech newbie. We all have stories to tell, and students whose voices should be heard. Tired of grading quizzes? 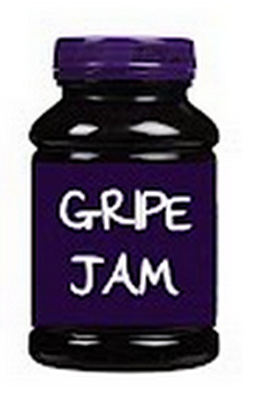 Sick of sending dozens of repetitive emails to parents, colleagues or students? 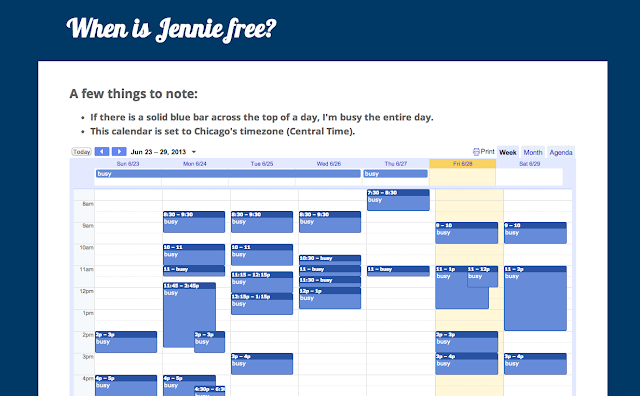 Having trouble scheduling conferences or appointments? Try some automated tricks! Check out Jay Atwood's Sandbox - a great website full of tutorials on how to use automagical tools like Google Scripts, Gmail labs and other super helpful workflows! Whether you dig into one or all of these ideas, or you find some of your own, break is a great time to brew a hot cup of caffeine, sit in your jammies and dig into some cool new ideas. 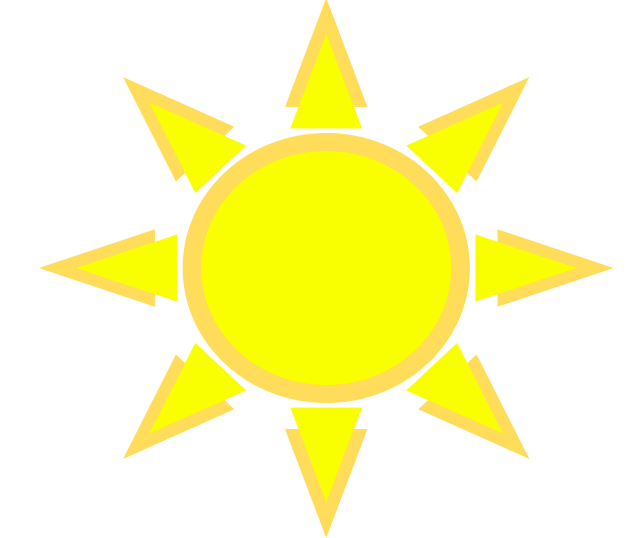 What are your plans for powering up on EdTech over break? Share them below! My last name is pronounced Muh-gare-uh. Hard g, long "a". I was a varsity weightlifter in high school. I won tournaments because there was no one else in my weight class and all I had to do was lift the bar. A "girl bar" that weighed 35 lbs. I love karaoke but am a horrible singer. I am a huge Star Wars nerd. I've read all the books and even made my own Sabacc game when I was in middle school. I have a black and silver miniature Schnauzer named Pepper. Despite her manly schnauzer features, she is a girl. I have the same weird thumbs as Megan Fox, but that's where our similarities end. I don't like fruits or vegetables. I put Tabasco sauce on everything. I was born just outside of Boston, moved to Orlando when I was 6, went to boarding school in NH and then college in NYC. Now I live in Chicago. When I was little, I thought Chicago was a state. What’s your favorite thing about blogging? 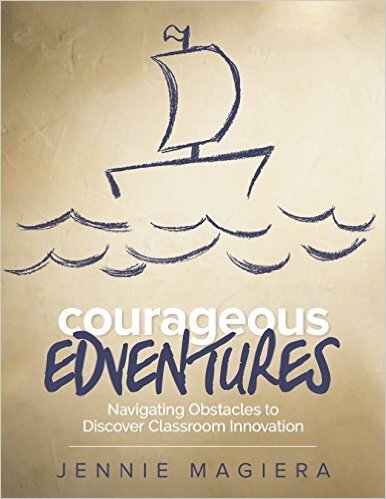 I love connecting with fellow educators and hearing what they think! So getting comments, challenges and ideas about my posts is my favorite thing. Favorite movie of all time? That's really hard... I don't think I have a #1 favorite. I love Sci-Fi, Comic Book movies and anything by Hayao Miyazaki. Favorite Twitter chat? Also can't pick a favorite here! Favorite educational website? I love Jay Atwood's Sandbox! Scripty fun! Least favorite food? All fruits and vegetables. But if I had to pick one, raw onions. Your unique talent? Not sure I have any... I'm a fast typer....? Proudest moment? Meeting the President :). Funniest thing you ever said in front of a group of students/educators? Once my husband gChatted me in the middle of a presentation: "I just took the best poop at work". I didn't notice for a few minutes. The audience (of teachers/administrators) just about died laughing. 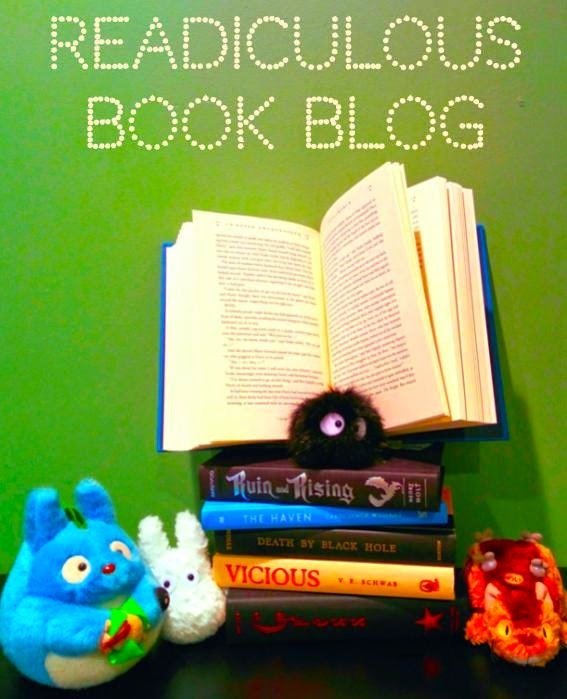 Favorite book you’ve read in 2013? Funniest thing you ever said in front of a group of students/educators? Once I was in a PD where they asked us what our super power is. We went around and said things like "Masterful Mediator" or "Powerful Procrastinator". But one person said "Font-Man"... by which he meant he could pick the perfect font for any occasion. Not only did I find this hilarious, but incredibly useful. I have a few friends like this... Carolyn Skibba can name a font just by looking at it. I would love to have this super power. I spend way, way too much time selecting the just-right font for that presentation, invitation or poster. Now that I've found the Google Fonts site, I too can be Font-Man!! Err.. or Font-Woman. 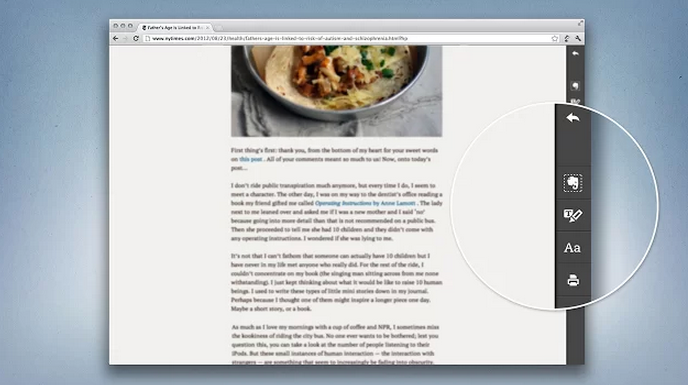 The Google Fonts site is simple, it's a font selector. It allows you to toggle the settings you desire for Thickness, Slant and Width. It even allows you to type your own "sample text" and see a single word, paragraph or a poster. I've already updated several projects with fine-tuned fonts in the past few minutes. Check it out and see if this saves some time and improves some aesthetics for you as well! As promised, here is a quick recap on where I've been in the last month or two. I mentioned back in September that I was going to be writing a new blog called Teaching Toward Tomorrow for Education Week. While I meant to continue writing for both blogs, work/life got the best of me and I spent most of my time writing over there. Apologies! I promise that I will be writing more on this blog starting now... Teaching Like It's 2999 is my first blog, and I will not forsake it! Booting Up Your Digital Classroom: These are a few quick tips, tricks and ideas for how to get started with technology in your classroom! Creating a Culture of Innovation: How do you support teacher growth and thus student growth when it comes to technology? How do you convince a tech-resistant staff to adopt new devices or pedagogies? How do you create and sustain a culture of innovation? While there isn't a single answer to any of these questions, here are six strategies I've found successful so far. 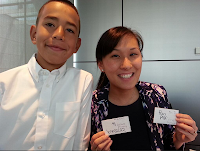 Out of the Mouths of Babes: Strategies to Empower Student Voice: This post shares five tried-and-true strategies to amplify your K-12 students' voices and empower their ideas. 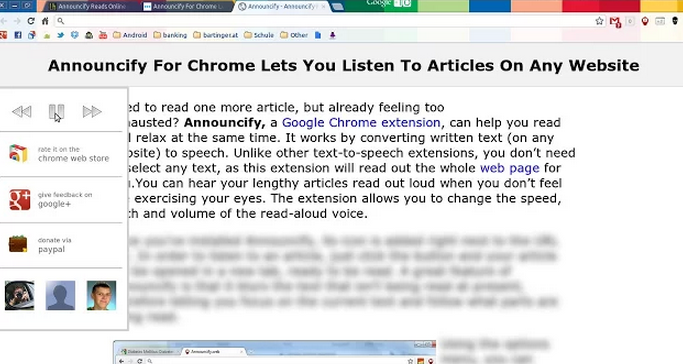 If you aren't already using Google Chrome as your web browser, I strongly suggest you dig in and give it a try. In addition to ubiquitous access to your open tabs and bookmarks, there are also the excellent extensions and the omnipotent OmniBox. 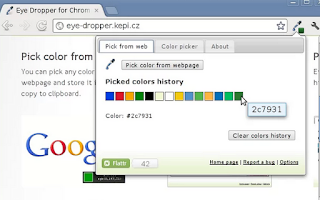 Sometimes called the "URL Box" or "Address Bar" in other browers, the OmniBox is aptly named as it has so many more functions beyond www.website.com. 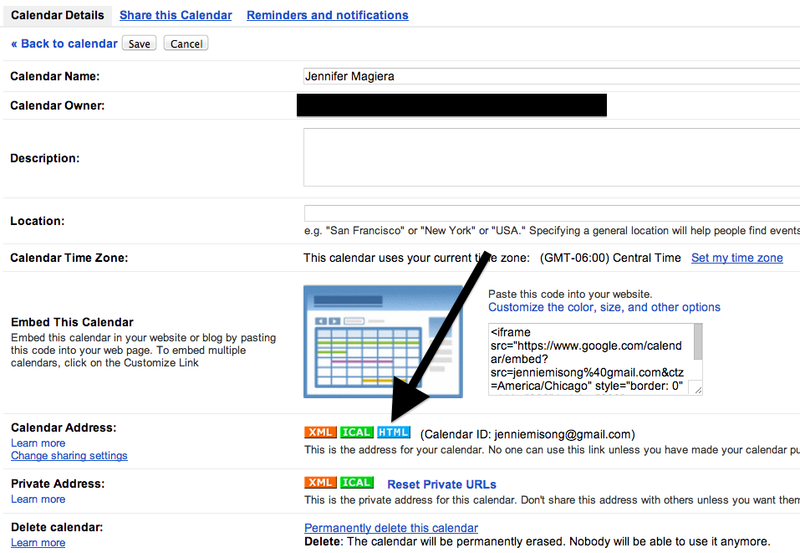 #1 Google Search from the comfort of your OmniBox. Who has time to type www.google.com, load the page and then do a search? Just type your search term right in the OmniBox and bam - there are your results! 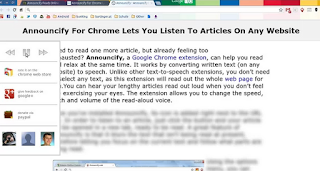 #2 Anything Search from the comfort of your OmniBox. But Google Schmoogle, I want to search my Google Drive! No problem. Type "d" then hit "tab" and look who's searching their Google Drive without even navigating to it! But wait, there's more! You can also search other pages such as YouTube, Allrecipes, Gmail, etc. 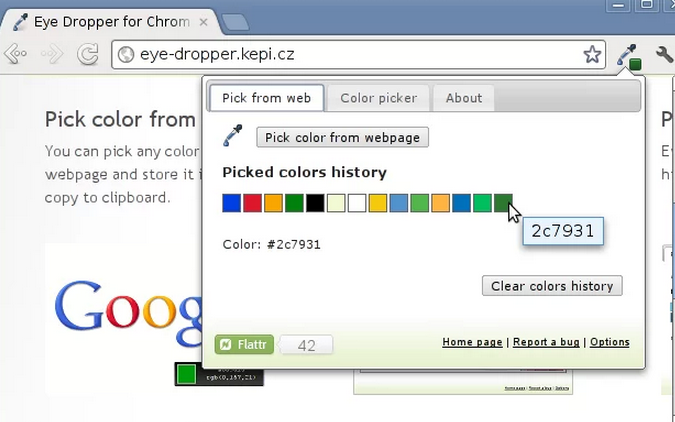 Go to the settings page in your Chrome Browser. Then find and click on "Manage Search Engines". Then scroll down to "Other search engines." 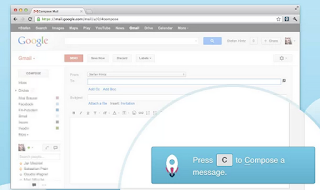 This is where you can add more shortcuts for searching sites from your OmniBox. You just need to input a name for the search engine, a keywork or hotkey (whatever you want it to be), and the search URL. Want more? Quick Trick: If you don't know the search URL for another site and want to add it as an OmniBox search shortcut, simply go to the site, right click in its search box and select "Add As Search Engine". 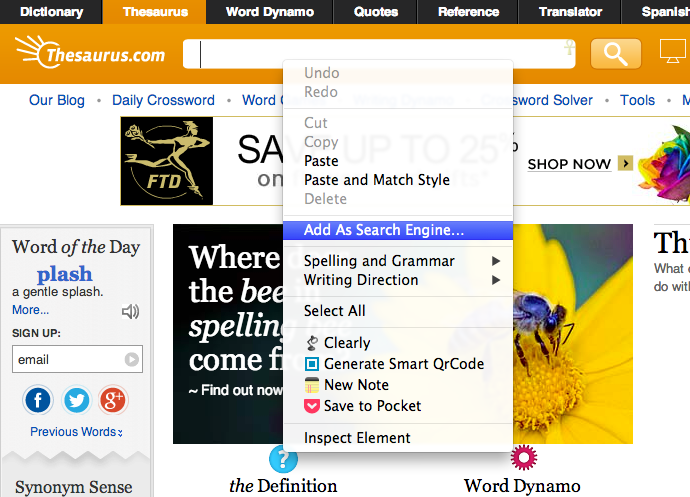 Then, in the "keyword" box, type in the keyboard shortcut you'd like to use! 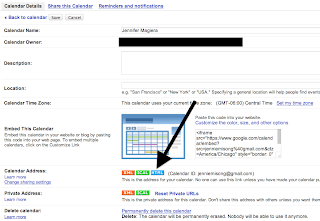 #2.5 Add Calendar Events from your OmniBox! Then open a new tab, type cal then hit space bar... type your event... "lunch with Priya tomorrow at 1pm"... and it adds to your calendar! #3 Get ready to travel! Instant information - no searching currency exchange websites, timezone charts or airline flight trackers. 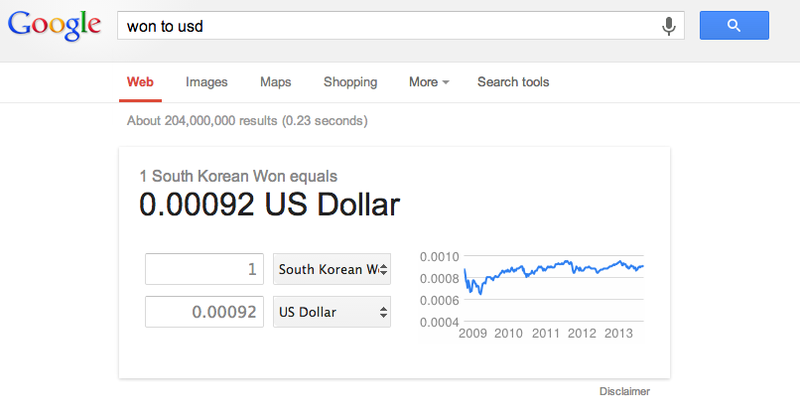 By the way... this works from your Chrome browser on your phone, too. Ever get an email asking you to buy tickets to something or are exploring a webpage only to find that you need to do some math in your head... and your head has forgotten how to mentally multiply $175.12 x 5 people? No worrires... just type 175.12*5 into your OmniBox... don't hit enter... just type it. What do you see? Notice the =875.6 at the bottom? That's right... the answer to your problem. Literally. You don't need to navigate away from that website or email -- just type in the math problem and the answer magically appears. Try typing your favorite movie star's name and then the phrase "Bacon Number" after it. For example, try typing Miley Cyrus Bacon Number and then hit enter. If you don't understand the result, it won't be funny, but here's an explanation. I'm so excited to announce that I have a new blog on Education Week! I will be blogging regularly (about 2-3 times a month) on this site with my new column: Teaching Toward Tomorrow! Please visit, comment and share your ideas / wonders / challenges / successes... anything and everything! Blogs are so much more fun with a discussion :). Hope to see you there! 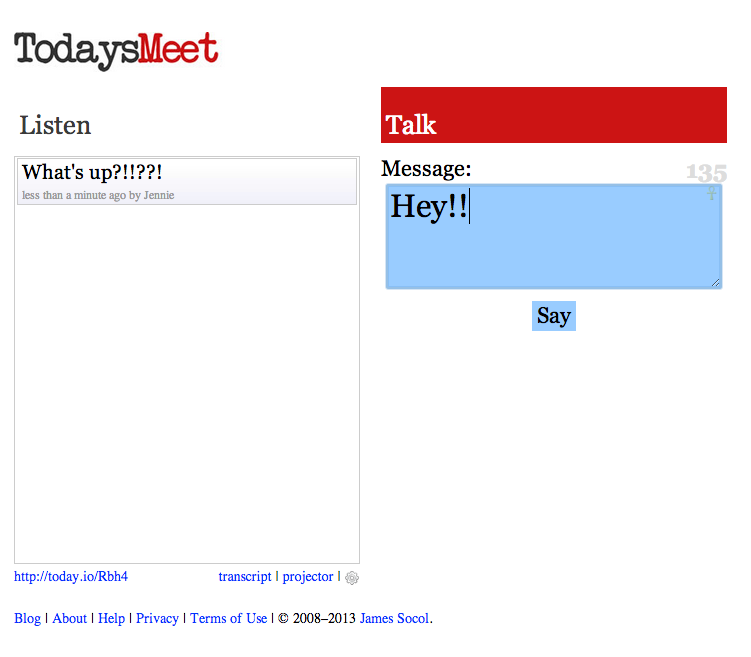 Personal URL - You can create a chat "room" with whatever name you want - "Ms. Smith" or "3rd grade chat". 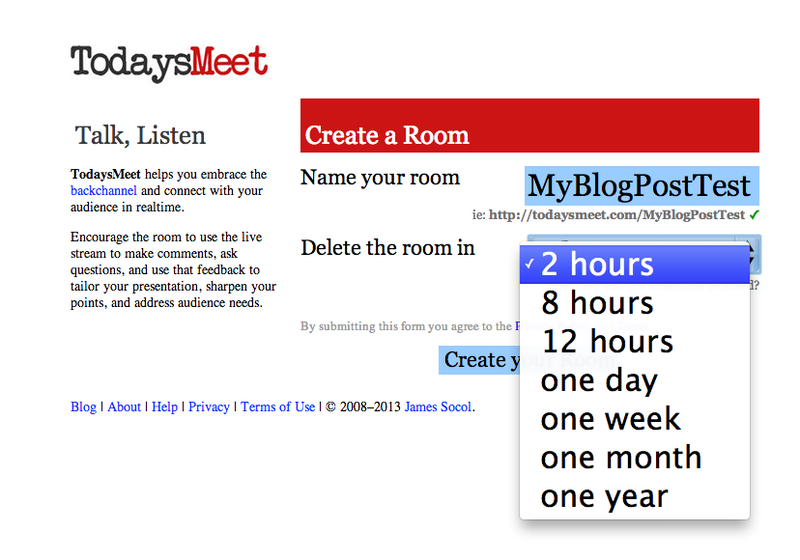 This name appends to "todaysmeet.com" -- i.e., "todaysmeet.com/mssmith". The nice thing is that you can set when the chat room name expires / closes... so it can be used by someone else. This allows for many more choices when creating your "chat room" name. 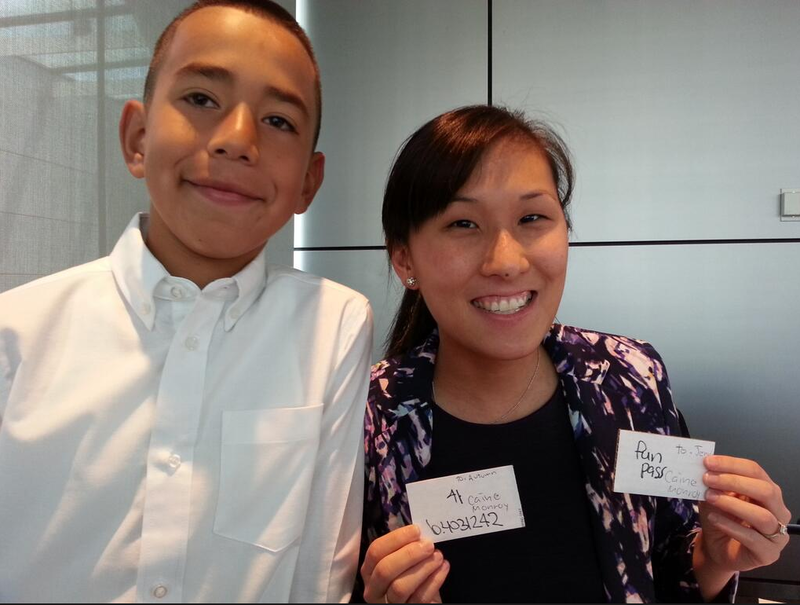 No login necessary - kids and participants don't need email addresses or accounts. 140 Character limit - this can be a pro or a con. While it's limiting, it also forces folks to be succint and get to the point. While my colleagues and I have used Today's Meet for a some time, there are many other options for backchannels - Edmodo, Schoology discussions, Twitter itself. 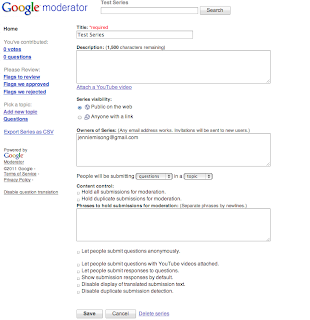 However recently I've been trying to get more folks to try out Google Moderator. Direct threaded responses - unlike the discussion streams in Edmodo, Today's Meet or, for the most part, Twitter, you can have easily visible threaded responses to questions, comments and ideas. Voting on comments - you can vote - positively or negatively - on questions, ideas and comments. 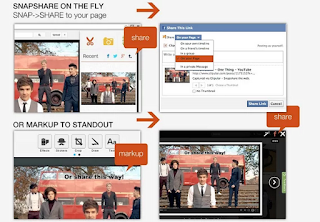 This helps you crowdsource what students agree or disagree on. I love this for Socratic Seminars / discussions. I've used it with a middle school teacher to discuss a novel the kids were reading -- they had to discuss the motivation of a specific character. As they suggested their ideas, students agreed or disagreed with their comment via this voting tool. Moreover, they were able to reply directly to the comment with text evidence explaining why they did or did not agree. Bam! Attaching YouTube Videos - I know not everyone has YouTube open in their districts, which is unfortunate, but if you are lucky enough to have it open, you can not only attach a YouTube video to the moderator description - but also allow students to attach videos to their responses. This is great to add another layer to the discussion. 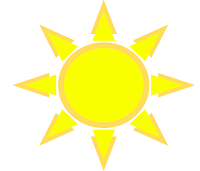 You can prime your students with a video of a current event report, or a science phenomenon. Then students can create their own screencasts, talking head videos or even full multimedia presentations to respond to the discussion / forum prompt. Imagine you ask students to come up with a 30 second PSA about water conservation. You start with an example of a PSA. They create their own on iMovie or even the YouTube.com/editor. They submit their PSAs to the moderator. Then students can respond directly to these videos, vote on their favorites or add ideas for improvement. Bam Bam! Sorting responses by popularity - You can sort the questions based on which had the highest votes. This is great when using Moderator as a Q&A board. 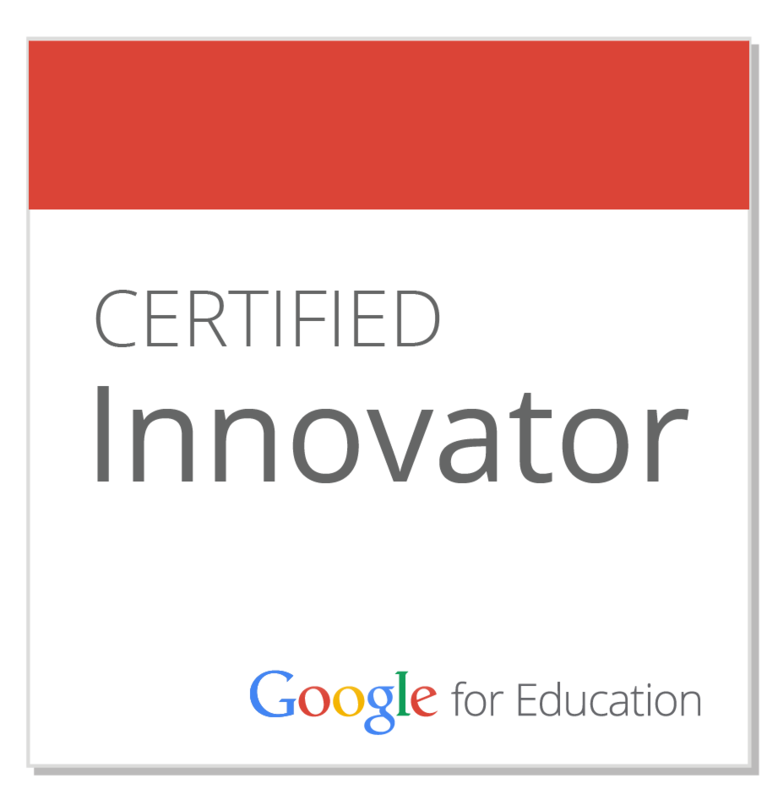 I got this idea from Hank Thiele, who used Moderator as an FAQ forum when his district was going 1:1 with Chromebooks. He allowed parents to ask any questions or concerns they might have and then responded to each with threaded replies. I used this idea not only with my own adult learners and colleagues in PDs, but also with students. I helped one of my teachers use Moderator in her math class. As she taught, and students had questions, they could hop on the moderator to backchannel and ask questions. After school, she responded to each. 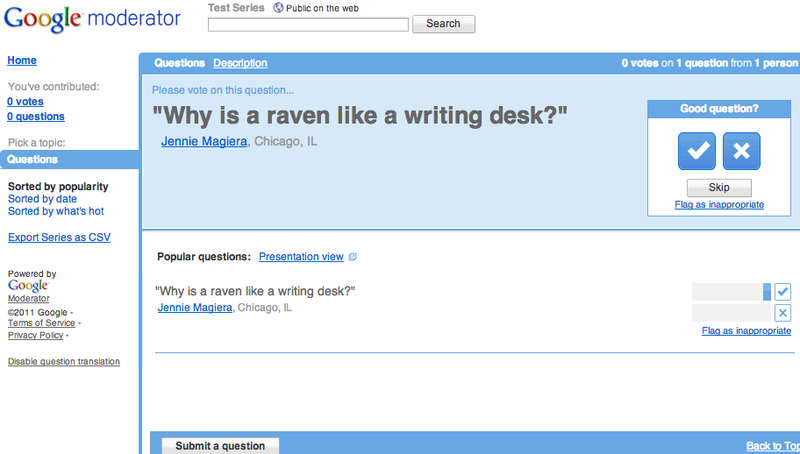 The great part was that students were taught to first scan each other's questions before asking a new one. They up-voted a question if they saw it was the one they had planned to ask. The teacher could then see common confusions and misconceptions - knowing whether kids needed a simple small-group check in or the whole class needed further instruction. Series and Topics - If you really take to Moderator and start using it frequently in your classroom, you will find that you have many different moderator chat streams open. Not to fear! 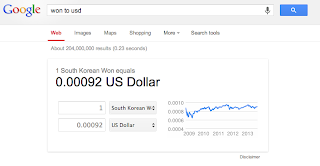 Google has anticipated this! Moderators are created in Series. This is an overarching idea or theme. For example, you can have a series called "Fractions" or "European History". within a series you can create sub categories: Topics, Events or Meetings. Topics make the most sense for a classroom - for example under "Fractions" you could have "Adding and Subtracting with Like Denominators" or "Ordering Fractions". Each of these sub topics have their own moderator chat stream and unique URL. Events and Meetings make more sense for PD or adult learning. I've seen many examples of using Moderator for book clubs or Home Owner's Association meetings -- use cases where "Events" and "Meetings" would come in handy. Moderation - You can moderate questions / responses. This can be tricky. While I have definitely experienced the inappropriate comment coming up in a backchannel when I used it with my 5th graders, there's something damaging about moderating an open stream of discussion. I found that I lost some trust with my students when they felt that what they said could be "censored". However, if you want to scaffold some particularly feisty adolescents into the wonderful world of open communication, this little tool can come in handy. Change the tone of the discussion - Moderator also allows you to change what it is your students or participants are submitting. When creating your series, you have the choice between questions, ideas or suggestions. With the simple change of this terminology, you can create a discussion board, QA board, idea board, or suggestion box. There are some cons to Moderator, of course. 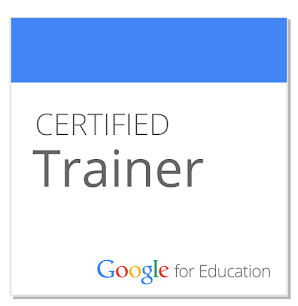 You need a Google login to use it - ether a district GAFE domain Google account or a public gmail.com account. Some folks also are so used to their own back channel, the added features confuse them. However, despite this, I would recommend checking it out. After all it's free - what do you have to lose? 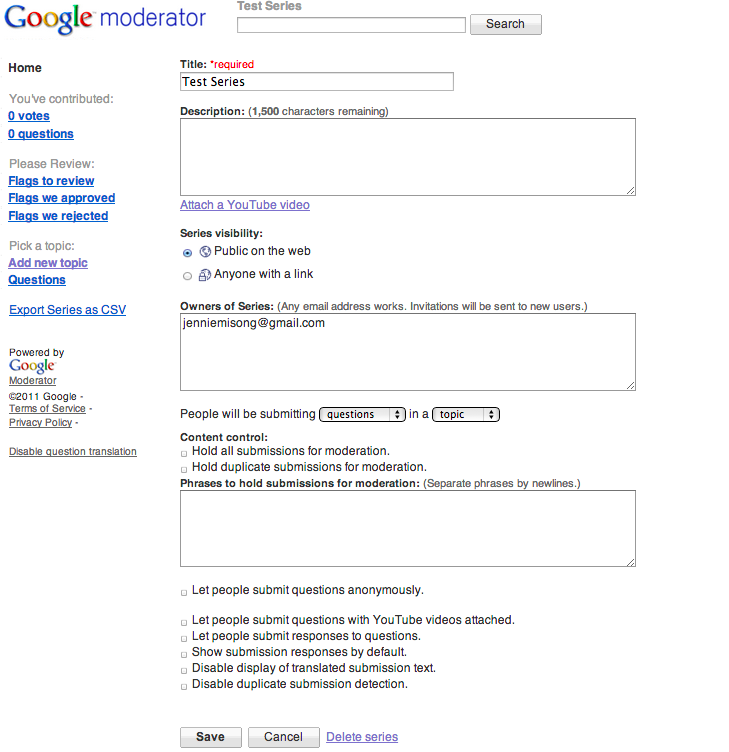 If you'd like to learn more about Moderator, here is a quick YouTube tutorial I created. My "I need to play with this" list is comically long and expanding everyday (as I'm sure all of yours are as well). 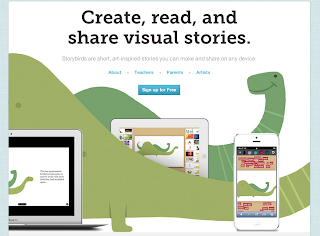 However, recently, a resident teacher inspired me to revisit a particular entry on this list - Storybird.com. And boy oh boy--- am I glad she did. 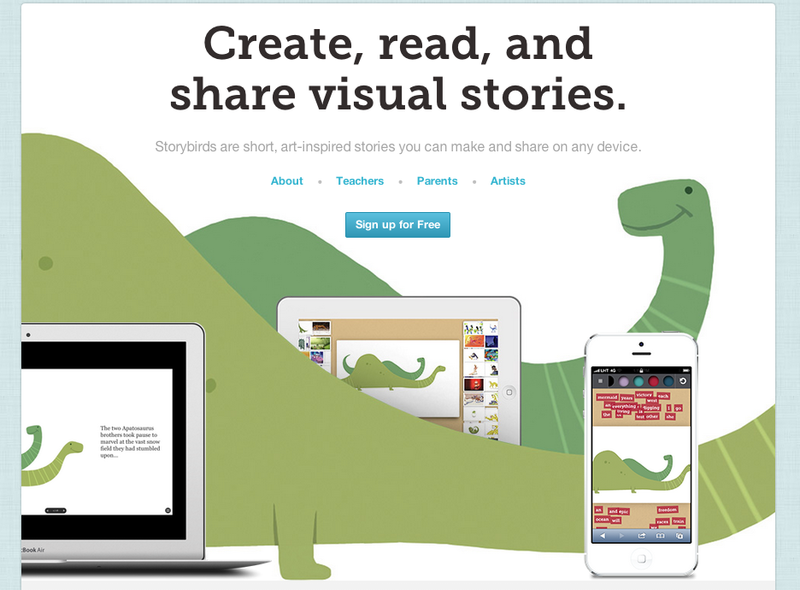 This iPad-friendly website describes itself as "Artful Storytelling: Create, read and share visual stories." And... that's exactly what it is. Students begin with original, professional drawings. These brightly colored illustrations draw you in from the moment you enter the webpage. The kids then can choose to create a storybook or a poem. From there, the platform puts them into a book creator with more colorful images of the same genre literally strewn around the edges of the book canvas. Kids can drag and drop new illustrations, create new pages and rearrange their story. All the while, they are entering the words that are inspired by the visuals they see. Teachers can help manage this for their students by creating a class and adding their students (no email addresses required). They can assign stories or poem prompts to their kids or just let them create with free reign. All of the class' stories are viewable on teacher dashboard. 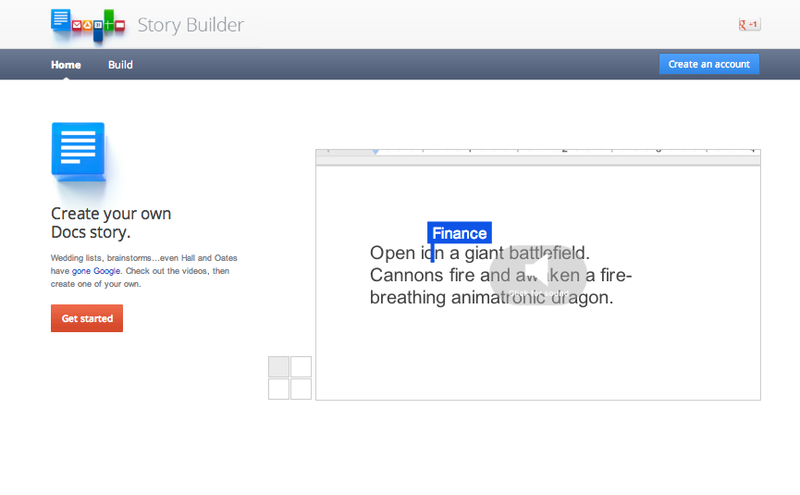 This is all free - however there is a paid option that allows for more dynamic editing and visual options. Something that really struck me is how many educators have chosen to use this. While there is the obvious "let the kids create amazing innovative creative stories / poems / etc inspired by great illustrations" - foreign language teachers have taken this to the next level. By having their kids do it in German. And French. And Italian. In fact, they've banded together to create a Wiki to collaborate and share these publications with the world. Awesome stuff. And to add amazing to inspiration, families, colleagues and fans of the students' work can buy print versions of these stories for a small price. 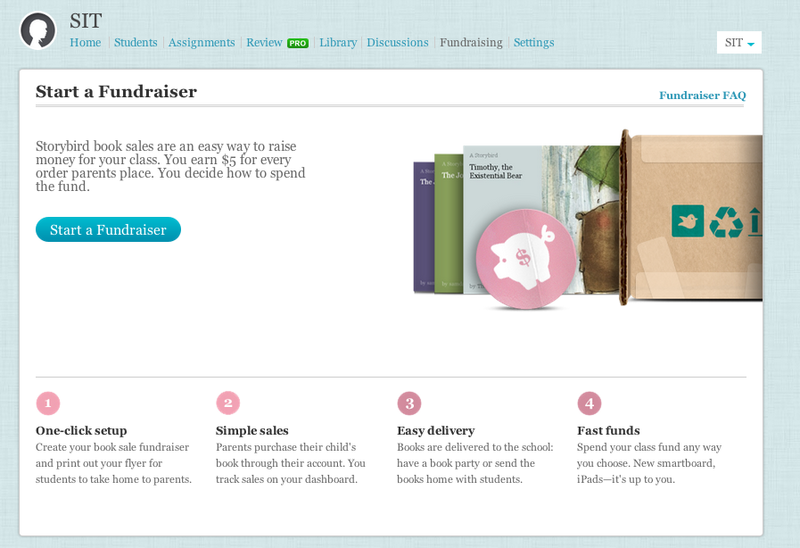 In fact, you can even turn this into a class fundraiser. 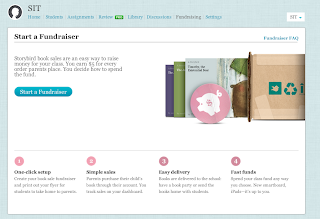 Teachers can earn $5 for every order a family member places! I've already begun to explore this tool with the students I work with in my Student Innovation Team, and have presented to a few teachers who are trying it out in their own classrooms. Please share how you are using it in yours below! So I have a new favorite app... Ask3 (from TechSmith, the makers of Jing and Camtasia). Why do I love it so? Well, I'm glad you asked! Reason #1 to love it: The app developer, a great guy named Troy Stein, created it for his son who struggled with high school math. 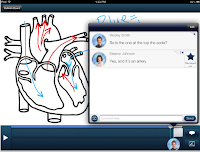 Reasons #2-100 to love it: It is screencasting software, collaboration tool, differentiation platform and scaffolded support system all rolled into one FREE app. So what does it to? It is an iOS app that starts off as a simple screencasting tool. 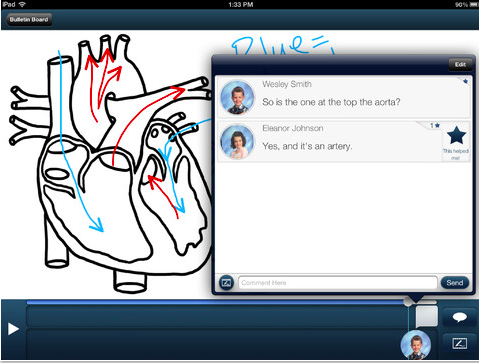 Students or teachers can draw on a virtual whiteboard, record their drawings, narration and even annotate over pictures. This part is very similar to apps like ShowMe, Educreations and Doceri. All great tools - all great ways to both create differentiated digital content for kids, and also - conversely - to unlock student metacognition. It also allows kids to automatically upload these screencasts so that they are instantly viewable from all iPads logged into the same class. So if Jaheim creates a screencast asking how to solve a story problem he's struggling with, or Kayla creates a screencast to show off her latest science investigation, the rest of the class can view these digital creations right away. Some other apps allow for uploading to the web for classmates to see, but the upload system on Ask3 is so smooth and seamless, I couldn't believe it was possible. I've demo'd this in an auditorium of over 400 confrence participants before - and it worked then too. Wow. 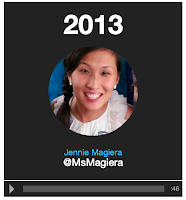 It also gives students the ability to comment on each other's video --- from within the video timeline. So, if the child is at minute 1:42 of a peer's screencast - or the teacher's instructional video - they can pause it and add their own comment, question or suggestion. All of these comments are instantly viewable for the class and teacher to see and reply to. Thus, "Ask3". The app is named after the addage "Ask 3 before Me" where teachers encourage student collaboration by crowd sourcing support for those who are struggling. With this tool, students can literally "ask 3" through the app without even leaving their seat. Perhaps text isn't enough to answer a question. Perhaps a child needs to demonstrate how to solve a problem, interpret a text or analyze an diagram. They can pause the video where they want to help, comment, ask a question or solve the problem. The app then allows them to screencast over that paused image and create their own video response, taking over from where the original video left off. This video response is then available for the class to view in the timeline as well. Or, there will be. Another reason I love this app - Troy (the developer) is constantly iterating and improving on it. 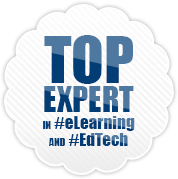 He has an entire blog dedicated to getting feedback and sharing teachers' use of the app. He is always looking to visit classrooms, learn how to make it better and increase support for all students. Try out his app today by downloading it here (you've got nothing to lose - after all, it's free) and share your reactions with him here. 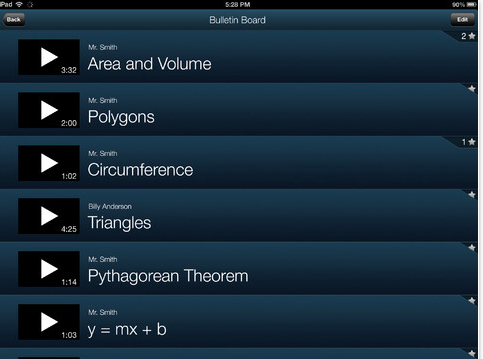 Want some more ideas on how to use this awesome app if your classroom? 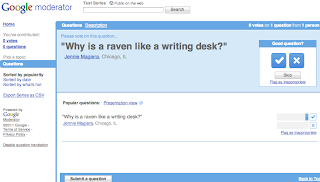 Check out this post by Troy - 21 ways to use Ask3!